The development of the conceptual and technological infrastructure of a health care system is primarily driven by a society’s obligation to provide for its people. Few people today would deny that organized data collection, processing and presentation is an increasingly key component of good patient care. Given the “wild west” nature of the medical informatics free market today, there is certainly no standardized database structure or architecture. A viable, forward looking database design must be able to interface in a variety of ways, including ways unforeseen at this time. 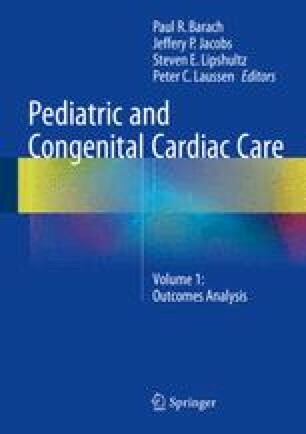 The fields of congenital cardiology and cardiac surgery are poised to benefit from, as well as promote, new developments in data structuring, storage, retrieval, processing and analysis. Databases are comprised of a variety of platforms, software and architectures depending on the size and purpose of the database. Databases at and above a hospital department level should be organized around purpose, utility, flexibility and growth. A state-of-the-art database should have the following core architectural components: an On-Line Transactional Processing system, an On-Line Analytical Processing system, and we propose an On-Line Semantics Processing system. Such databases could place a modern congenital cardiac center in an ideal position to take full advantage of the technological advancements of today as well as tomorrow, including artificial intelligence, cloud based systems, and evolving human device-interfaces, ultimately providing unmatched facility in data management, which leads to similar advances in patient management. The free online dictionary. http://www.thefreedictionary.com/interface. Accessed 3 June 2013. Wikipedia – disease registries. http://en.wikipedia.org/wiki/Disease_registry. Accessed 3 June 2013. IMPACT RegistryTM website. https://www.ncdr.com/webncdr/impact/. Accessed 3 June 2013.